American communications satellite. 3-axis stabilization with momentum wheels, magnetic torquers, Earth sensors and 16 blowdown monopropellant hydrazine thrusters. Status: Operational 1985. First Launch: 1985-11-27. Last Launch: 1998-02-04. Number: 9 . Gross mass: 1,021 kg (2,250 lb). Height: 2.10 m (6.80 ft). Solar arrays provide 2800 W, 3 x 50 Ah NiH batteries. GEO insertion by Star 37XFP solid rocket motor. 16 Ku-band transponders (with six spares) . 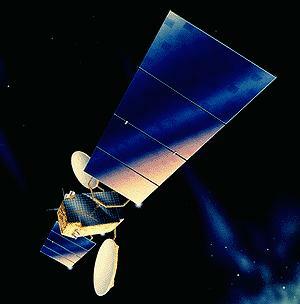 Satcom K1, K2 Communication satellite built by RCA Astro for RCA Satcom => GE Satcom, USA. Launched 1985 - 1986. Used the AS-4000 bus. Astra 1A Communication (Direct Broadcasting) satellite built by GE Astrospace for SES, Luxembourg. Launched 1988. Used the AS-4000 bus. ACTS American communications technology satellite. One launch, 1993.09.12. NASA experimental communications; Advanced Communications Technology Satellite. Communication satellite built by RCA Astro => GE Astro => Martin Marietta for NASA, USA. Launched 1993. Used the AS-4000 bus. Inmarsat-3 F1, 2, 3, 4, 5 Communication satellite built by Lockheed Martin Astro for Inmarsat, International. Launched 1996 - 1998. Used the AS-4000 bus. GPS Block 2R American navigation satellite. Family: Communications, Geosynchronous orbit. Country: USA. Launch Vehicles: Atlas, Proton, Space Shuttle, Ariane, Proton-K/DM-2, Ariane 44LP, Ariane 44L, Atlas IIA. Projects: Astra, Satcom. Launch Sites: Cape Canaveral, Baikonur, Cape Canaveral LC36A, Baikonur LC81/23, Cape Canaveral LC36B, Cape Canaveral LC39A, Kourou, Cape Canaveral LC39B, Kourou ELA2. Agency: Inmarsat, Astro Space. Bibliography: 2, 274, 276, 278, 4, 6, 67, 12100. 1985 November 27 - . 00:29 GMT - . Launch Site: Cape Canaveral. Launch Complex: Cape Canaveral LC39A. Launch Platform: MLP2. LV Family: Shuttle. Launch Vehicle: Space Shuttle. Satcom K2 - . Payload: Satcom-K 2 / PAM-D2. Mass: 1,812 kg (3,994 lb). Nation: USA. Agency: RCA Amer. Manufacturer: Lockheed. Program: Satcom. Class: Communications. Type: Civilian communications satellite. Spacecraft: AS 4000. USAF Sat Cat: 16276 . COSPAR: 1985-109D. Apogee: 36,002 km (22,370 mi). Perigee: 35,944 km (22,334 mi). Inclination: 4.20 deg. Period: 1,445.60 min. Released by STS 61B 11/28/85; 81 deg W. Positioned in geosynchronous orbit at 81 deg W in 1985-1996; 85 deg W in 1996-1997; 81 deg W in 1997-1999 As of 6 September 2001 located at 80.95 deg W drifting at 0.009 deg W per day. As of 2007 Mar 9 located at 157.11W drifting at 2.398W degrees per day. Satcom K1 - . Payload: Satcom-K 1 / PAM-D2. Mass: 1,923 kg (4,239 lb). Nation: USA. Agency: RCA Amer. Manufacturer: Lockheed. Program: Satcom. Class: Communications. Type: Civilian communications satellite. Spacecraft: AS 4000. Completed Operations Date: 1997-07-02 . USAF Sat Cat: 16482 . COSPAR: 1986-003B. Apogee: 36,016 km (22,379 mi). Perigee: 35,965 km (22,347 mi). Inclination: 4.50 deg. Period: 1,446.50 min. Stationed at 81 deg W. Positioned in geosynchronous orbit at 85 deg W in 1986-1997; 87 deg W in 1997 As of 31 August 2001 located at 61.19 deg W drifting at 2.593 deg W per day. As of 2007 Mar 10 located at 125.55E drifting at 2.586W degrees per day..
1988 December 11 - . 00:33 GMT - . Launch Site: Kourou. Launch Complex: Kourou ELA2. LV Family: Ariane. Launch Vehicle: Ariane 44LP. Astra 1A - . Mass: 1,780 kg (3,920 lb). Nation: Europe. Agency: SES. Manufacturer: Lockheed. Program: Astra. Class: Communications. Type: Civilian communications satellite. Spacecraft: AS 4000. USAF Sat Cat: 19688 . COSPAR: 1988-109B. Apogee: 35,803 km (22,246 mi). Perigee: 35,770 km (22,220 mi). Inclination: 0.80 deg. Period: 1,436.10 min. European TV broadcast; 19.2 deg W. Astra 1A provides TV coverage to Western Europe. 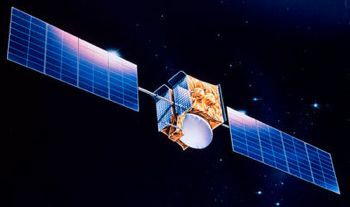 The satellite is owned and operated by Société Europíenne des Satellites (SES), a private company formed in 1985. 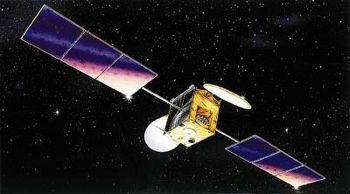 Astra 1A is based in the GE 4000 series platform, and was the first in a network of four satellites. Spacecraft: GE 4000 platform.3-axis stabilisation with momentum wheels, magnetic torquers, Earth sensors and 16 blowdown monopropellant hydrazine thrusters. Solar arrays provide 2800 W BOL, 3 50 Ahr NiH batteries. GEO insertion by Star 37XFP solid rocket motor. Payload: 16 Ku-band transponders (with six spares) . Positioned in geosynchronous orbit at 19 deg E in 1989-1999 As of 5 September 2001 located at 19.38 deg E drifting at 0.002 deg W per day. As of 2007 Mar 10 located at 13.01E drifting at 6.968W degrees per day. ACTS - . Payload: Discovery F17 / ACTS [TOS-21H] / Orfeus-SPAS 01. Mass: 2,767 kg (6,100 lb). Nation: USA. Agency: NASA Cleveland. Class: Communications. Type: Civilian communications satellite. Spacecraft: AS 4000. USAF Sat Cat: 22796 . COSPAR: 1993-058B. Apogee: 35,806 km (22,248 mi). Perigee: 35,767 km (22,224 mi). Inclination: 3.20 deg. Period: 1,436.10 min. 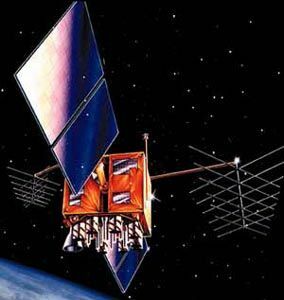 NASA experimental communications; Advanced Communications Technology Satellite; deployed from STS-51 9/12/93; 100 deg W. Positioned in geosynchronous orbit at 100 deg W in 1993-1999 105 deg W in 2000. As of 5 September 2001 located at 105.36 deg W drifting at 0.007 deg W per day. As of 2007 Mar 10 located at 105.14W drifting at 0.004W degrees per day. 1996 April 3 - . 23:01 GMT - . Launch Site: Cape Canaveral. Launch Complex: Cape Canaveral LC36A. LV Family: Atlas. Launch Vehicle: Atlas IIA. Inmarsat 3 F1 - . Mass: 2,068 kg (4,559 lb). Nation: International. Agency: Inmarsat. Manufacturer: Lockheed. Program: Inmarsat. Class: Communications. Type: Civilian communications satellite. Spacecraft: AS 4000. USAF Sat Cat: 23839 . COSPAR: 1996-020A. Apogee: 35,806 km (22,248 mi). Perigee: 35,767 km (22,224 mi). Inclination: 0.00 deg. Period: 1,436.10 min. Geostationary at 64.1E. Launch vehicle put payload into geosynchronous transfer orbit with RAAN Cntl trajectory option. Positioned in geosynchronous orbit at 64 deg E in 1996-1999 As of 5 September 2001 located at 63.98 deg E drifting at 0.003 deg E per day. As of 2007 Mar 10 located at 64.52E drifting at 0.006W degrees per day. 1996 September 6 - . 17:37 GMT - . Launch Site: Baikonur. Launch Complex: Baikonur LC81/23. LV Family: Proton. Launch Vehicle: Proton-K/DM-2. Inmarsat 3 F2 - . Mass: 1,021 kg (2,250 lb). Nation: International. Agency: INMARSAT. Manufacturer: Lockheed. Program: Inmarsat. Class: Communications. Type: Civilian communications satellite. Spacecraft: AS 4000. USAF Sat Cat: 24307 . COSPAR: 1996-053A. Apogee: 35,807 km (22,249 mi). Perigee: 35,766 km (22,223 mi). Inclination: 2.50 deg. Period: 1,436.10 min. Geostationary at 15.5W. Positioned in geosynchronous orbit at 15 deg W in 1996-1999 As of 4 September 2001 located at 15.48 deg W drifting at 0.005 deg W per day. As of 2007 Mar 7 located at 15.47W drifting at 0.007W degrees per day..
1996 December 18 - . 01:57 GMT - . Launch Site: Cape Canaveral. Launch Complex: Cape Canaveral LC36B. LV Family: Atlas. Launch Vehicle: Atlas IIA. Inmarsat 3 F3 - . Mass: 1,021 kg (2,250 lb). Nation: International. Agency: Inmarsat. Manufacturer: Lockheed. Program: Inmarsat. Class: Communications. Type: Civilian communications satellite. Spacecraft: AS 4000. USAF Sat Cat: 24674 . COSPAR: 1996-070A. Apogee: 35,807 km (22,249 mi). Perigee: 35,764 km (22,222 mi). Inclination: 0.00 deg. Period: 1,436.00 min. Geostationary at 157.6E. Launch vehicle put payload into geosynchronous transfer orbit with RAAN Cntl trajectory option. Positioned in geosynchronous orbit at 178 deg E in 1997-1999 As of 5 September 2001 located at 178.02 deg E drifting at 0.006 deg W per day. As of 2007 Mar 10 located at 178.19E drifting at 0.002E degrees per day. 1997 January 17 - . 16:28 GMT - . Launch Site: Cape Canaveral. Launch Complex: Cape Canaveral LC17A. LV Family: Thor. Launch Vehicle: Delta 7925. FAILURE: T+12 sec GEM strap-on number 2 structural failure.. Failed Stage: 0. GPS 42 - . Payload: GPS 2R-1 / GPS SVN 42. Mass: 2,030 kg (4,470 lb). Nation: USA. Agency: MDSSC. Manufacturer: Valley Forge. Program: Navstar. Class: Navigation. Type: Navigation satellite. Spacecraft Bus: AS 4000. Spacecraft: GPS Block 2R. Destroyed in launch vehicle failure..
1997 June 3 - . 23:20 GMT - . Launch Site: Kourou. Launch Complex: Kourou ELA2. LV Family: Ariane. Launch Vehicle: Ariane 44L. Inmarsat 3 F4 - . Mass: 1,021 kg (2,250 lb). Nation: International. Agency: Inmarsat. Manufacturer: Lockheed. Program: Inmarsat. Class: Communications. Type: Civilian communications satellite. Spacecraft: AS 4000. USAF Sat Cat: 24819 . COSPAR: 1997-027A. Apogee: 35,805 km (22,248 mi). Perigee: 35,770 km (22,220 mi). Inclination: 0.00 deg. Period: 1,436.10 min. Geosynchronous. Stationed over 54.0W Positioned in geosynchronous orbit at 54 deg W in 1997-1999 As of 5 September 2001 located at 53.97 deg W drifting at 0.004 deg W per day. As of 2007 Mar 10 located at 142.07W drifting at 0.000E degrees per day..
1997 July 23 - . 03:43 GMT - . Launch Site: Cape Canaveral. Launch Complex: Cape Canaveral LC17A. LV Family: Thor. Launch Vehicle: Delta 7925. USA 132 - . Payload: GPS 2R-2 / GPS SVN 43. Mass: 2,030 kg (4,470 lb). Nation: USA. Agency: USAF. Manufacturer: Valley Forge. Program: Navstar. Class: Navigation. Type: Navigation satellite. Spacecraft Bus: AS 4000. Spacecraft: GPS Block 2R. USAF Sat Cat: 24876 . COSPAR: 1997-035A. Apogee: 20,235 km (12,573 mi). Perigee: 20,132 km (12,509 mi). Inclination: 55.80 deg. Period: 718.00 min. Placed in Plane F Slot 3 of the constellation..
1998 February 4 - . 23:29 GMT - . Launch Site: Kourou. Launch Complex: Kourou ELA2. LV Family: Ariane. Launch Vehicle: Ariane 44LP. Inmarsat 3 F5 - . Mass: 1,021 kg (2,250 lb). Nation: International. Agency: Inmarsat. Manufacturer: RCA. Program: Inmarsat. Class: Communications. Type: Civilian communications satellite. Spacecraft: AS 4000. USAF Sat Cat: 25153 . COSPAR: 1998-006B. Apogee: 35,797 km (22,243 mi). Perigee: 35,775 km (22,229 mi). Inclination: 0.50 deg. Period: 1,436.10 min. Geostationary at 25.0 degrees E. Positioned in geosynchronous orbit at 25 deg E in 1998-1999 As of 24 July 2001 located at 25.09 deg E drifting at 0.020 deg E per day. As of 2007 Mar 10 located at 25.07E drifting at 0.017W degrees per day..
1999 October 7 - . 12:51 GMT - . Launch Site: Cape Canaveral. Launch Complex: Cape Canaveral LC17A. Launch Pad: SLC17A. LV Family: Thor. Launch Vehicle: Delta 7925-9.5. USA 145 - . Payload: GPS 2R-3 / GPS SVN 46. Mass: 2,030 kg (4,470 lb). Nation: USA. Agency: USAF. Manufacturer: Valley Forge. Program: Navstar. Class: Navigation. Type: Navigation satellite. Spacecraft Bus: AS 4000. Spacecraft: GPS Block 2R. USAF Sat Cat: 25933 . COSPAR: 1999-055A. Apogee: 20,202 km (12,552 mi). Perigee: 20,163 km (12,528 mi). Inclination: 52.60 deg. Period: 718.00 min. Third GPS Block 2R satellite. SVN 46 replaced SVN 50 which had been damaged by rain on Pad 17 earlier while being prepared for launch earlier in the year. Placed in Plane D Slot 2..
2000 May 11 - . 01:48 GMT - . Launch Site: Cape Canaveral. Launch Complex: Cape Canaveral LC17A. Launch Pad: SLC17A. LV Family: Thor. Launch Vehicle: Delta 7925-9.5. USA 150 - . Payload: GPS 2R-4 / GPS SVN 51. Mass: 2,030 kg (4,470 lb). Nation: USA. Agency: USAF. Manufacturer: Lockheed. Program: Navstar. Class: Navigation. Type: Navigation satellite. Spacecraft Bus: AS 4000. Spacecraft: GPS Block 2R. USAF Sat Cat: 26360 . COSPAR: 2000-025A. Apogee: 20,235 km (12,573 mi). Perigee: 20,127 km (12,506 mi). Inclination: 55.20 deg. Period: 717.90 min. Placed into an elliptical transfer orbit. The satellite's Thiokol Star 37 apogee motor was used to circularise the orbit at 20,000 km in Plane E Slot 1 of the constellation, replacing GPS GPS 2-1..
2000 July 16 - . 09:17 GMT - . Launch Site: Cape Canaveral. Launch Complex: Cape Canaveral LC17A. Launch Pad: SLC17A. LV Family: Thor. Launch Vehicle: Delta 7925-9.5. USA 151 - . Payload: GPS 2R-5 / GPS SVN 44. Mass: 2,032 kg (4,479 lb). Nation: USA. Agency: USAF. Manufacturer: Lockheed. Program: Navstar. Class: Navigation. Type: Navigation satellite. Spacecraft Bus: AS 4000. Spacecraft: GPS Block 2R. USAF Sat Cat: 26407 . COSPAR: 2000-040A. Apogee: 20,650 km (12,830 mi). Perigee: 19,715 km (12,250 mi). Inclination: 56.00 deg. Period: 718.00 min. Global Positioning satellite, placed in Plane B Slot 5. Launch delayed from June 15 and the June 21..
2000 November 10 - . Launch Site: Cape Canaveral. Launch Complex: Cape Canaveral LC17A. Launch Pad: SLC17A. LV Family: Thor. Launch Vehicle: Delta 7925-9.5. USA 154 - . Payload: GPS 2R-6 / GPS SVN 41. Mass: 2,032 kg (4,479 lb). Nation: USA. Agency: USAF. Manufacturer: Lockheed. Program: Navstar. Class: Navigation. Type: Navigation satellite. Spacecraft Bus: AS 4000. Spacecraft: GPS Block 2R. USAF Sat Cat: 26605 . COSPAR: 2000-071A. Apogee: 20,244 km (12,579 mi). Perigee: 20,118 km (12,500 mi). Inclination: 55.50 deg. Period: 717.90 min. The Delta stage 2 entered a 153 x 418 km x 37 deg parking orbit followed by a 172 x 1144 km second orbit; the PAM-D solid upper stage then fired to give SVN 41 a 20457 km apogee. The Thiokol Star 37FM solid kick motor was fired prior to November 13 to place the spacecraft in its final circular 20,000 km orbit. Placed in Plane F Slot 1 of the GPS constellation. 2001 January 30 - . 07:55 GMT - . Launch Site: Cape Canaveral. Launch Complex: Cape Canaveral LC17A. Launch Pad: SLC17A. LV Family: Thor. Launch Vehicle: Delta 7925-9.5. USA 156 - . Payload: GPS 2R-7 / GPS SVN 54. Mass: 2,032 kg (4,479 lb). Nation: USA. Agency: USAF. Manufacturer: Lockheed. Program: Navstar. Class: Navigation. Type: Navigation satellite. Spacecraft Bus: AS 4000. Spacecraft: GPS Block 2R. USAF Sat Cat: 26690 . COSPAR: 2001-004A. Apogee: 20,208 km (12,556 mi). Perigee: 20,157 km (12,524 mi). Inclination: 55.20 deg. Period: 718.00 min. GPS Block IIR production no. SV 14. Placed in Plane E Slot 4 of the constellation..
2003 January 29 - . Launch Site: Cape Canaveral. Launch Complex: Cape Canaveral LC17B. Launch Pad: SLC17B. LV Family: Thor. Launch Vehicle: Delta 7925-9.5. USA 166 - . Payload: GPS 2R-8 / Navstar 51. Mass: 2,032 kg (4,479 lb). Nation: USA. Agency: USAF. Manufacturer: Lockheed. Program: Navstar. Class: Navigation. Type: Navigation satellite. Spacecraft Bus: AS 4000. Spacecraft: GPS Block 2R. USAF Sat Cat: 27663 . COSPAR: 2003-005A. Apogee: 20,352 km (12,646 mi). Perigee: 20,163 km (12,528 mi). Inclination: 55.06 deg. Period: 720.74 min. Launch delayed from June 11 and August 16, 2001; March 6, April 29, August 11 and November 7, 2002..
2003 March 31 - . 22:09 GMT - . Launch Site: Cape Canaveral. Launch Complex: Cape Canaveral LC17A. Launch Pad: SLC17A. LV Family: Thor. Launch Vehicle: Delta 7925-9.5. USA 168 - . Payload: GPS 2R-9 / Navstar 52. Mass: 2,032 kg (4,479 lb). Nation: USA. Agency: USAF. Manufacturer: Lockheed. Program: Navstar. Class: Navigation. Type: Navigation satellite. Spacecraft Bus: AS 4000. Spacecraft: GPS Block 2R. USAF Sat Cat: 27704 . COSPAR: 2003-010A. Apogee: 20,376 km (12,661 mi). Perigee: 19,985 km (12,418 mi). Inclination: 55.00 deg. Period: 717.90 min. Delayed from May 16, July 25, November 14, 2002, and February 6, 2003. 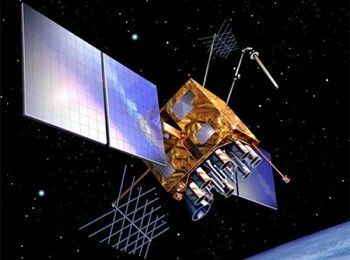 Timely replenishment of GPS constellation..
2003 December 21 - . 08:05 GMT - . Launch Site: Cape Canaveral. Launch Complex: Cape Canaveral LC17A. Launch Pad: SLC17A. LV Family: Thor. Launch Vehicle: Delta 7925-9.5. USA 175 - . Payload: GPS 2R-10 / Navstar 53 / GPS SVN 47. Mass: 2,032 kg (4,479 lb). Nation: USA. Agency: USAF. Manufacturer: Lockheed. Program: Navstar. Class: Navigation. Type: Navigation satellite. Spacecraft Bus: AS 4000. Spacecraft: GPS Block 2R. USAF Sat Cat: 28129 . COSPAR: 2003-058A. Apogee: 20,328 km (12,631 mi). Perigee: 19,963 km (12,404 mi). Inclination: 55.10 deg. Period: 716.50 min. Tenth Navstar Block IIR (R = replenishment) launch..
2004 March 20 - . 17:53 GMT - . Launch Site: Cape Canaveral. Launch Complex: Cape Canaveral LC17B. Launch Pad: SLC17B. LV Family: Thor. Launch Vehicle: Delta 7925-9.5. USA 177 - . Payload: GPS 2R-11 / Navstar 54. Mass: 2,032 kg (4,479 lb). Nation: USA. Agency: USAF. Manufacturer: Lockheed. Program: Navstar. Class: Navigation. Type: Navigation satellite. Spacecraft Bus: AS 4000. Spacecraft: GPS Block 2R. USAF Sat Cat: 28190 . COSPAR: 2004-009A. Apogee: 20,268 km (12,593 mi). Perigee: 20,100 km (12,400 mi). Inclination: 55.00 deg. Period: 718.00 min. Launch delayed from December 19, 2003, March 8, 2004..
2004 June 23 - . 22:54 GMT - . Launch Site: Cape Canaveral. Launch Complex: Cape Canaveral LC17B. Launch Pad: SLC17B. LV Family: Thor. Launch Vehicle: Delta 7925-9.5. USA 178 - . Payload: GPS 2R-12 / Navstar 55. Mass: 2,032 kg (4,479 lb). Nation: USA. Agency: USAF. Manufacturer: Lockheed. Program: Navstar. Class: Navigation. Type: Navigation satellite. Spacecraft Bus: AS 4000. Spacecraft: GPS Block 2R. USAF Sat Cat: 28361 . COSPAR: 2004-023A. Apogee: 20,273 km (12,597 mi). Perigee: 20,090 km (12,480 mi). Inclination: 55.10 deg. Period: 717.90 min. Delayed from February 17. Delayed from June 5, 11, 13, 14, 16, 18, 19, 20 and 21. Moved up from July 20..
2004 November 6 - . 05:39 GMT - . Launch Site: Cape Canaveral. Launch Complex: Cape Canaveral LC17B. Launch Pad: SLC17B. LV Family: Thor. Launch Vehicle: Delta 7925-9.5. USA 180 - . Payload: GPS 2R-13 / Navstar 61. Mass: 2,032 kg (4,479 lb). Nation: USA. Agency: USAF. Manufacturer: Lockheed. Program: Navstar. Class: Navigation. Type: Navigation satellite. Spacecraft Bus: AS 4000. Spacecraft: GPS Block 2R. USAF Sat Cat: 28474 . COSPAR: 2004-045A. Apogee: 20,413 km (12,684 mi). Perigee: 19,810 km (12,300 mi). Inclination: 54.90 deg. Period: 715.10 min. Launch delayed from September 22, October 8, 25 and 30, November 5. Fired its apogee motor at around 02:40 GMT on November 9 to transfer from its initial 159 x 20380 km x 39.1 deg transfer orbit to its operational orbit in the GPS constellation..
2005 September 26 - . 03:37 GMT - . Launch Site: Cape Canaveral. Launch Complex: Cape Canaveral LC17A. Launch Pad: SLC17A. LV Family: Thor. Launch Vehicle: Delta 7925-9.5. USA 183 - . Payload: GPS 2R-14M / Navstar 57. Mass: 2,032 kg (4,479 lb). Nation: USA. Agency: USAF. Manufacturer: Lockheed. Program: Navstar. Class: Navigation. Type: Navigation satellite. Spacecraft Bus: AS 4000. Spacecraft: GPS Block 2R. USAF Sat Cat: 28874 . COSPAR: 2005-038A. Apogee: 20,187 km (12,543 mi). Perigee: 20,006 km (12,431 mi). Inclination: 55.00 deg. Period: 714.50 min. Delayed from December 2004; February 1, March 17, 2005. Moved up from May 20 2005. Then delayed from May 4, July 29, August 26, September 22, 2005. Became operational at 23:30 GMT on 16 December. First GPS Block IIR-M version, which added extra navigation signals for both civil and military users. The NASA-funded L2C tracking demonstration was managed by JPL and explored the use of a new Civilian code signal (L2C). The data was collected with Trimble NetRS receivers L2C-enabled firmware. The sites were globally distributed: South Africa, Norway, Antarctica, Hawaii, and Alaska. 2006 September 25 - . 18:50 GMT - . Launch Site: Cape Canaveral. Launch Complex: Cape Canaveral LC17A. Launch Pad: SLC17A. LV Family: Thor. Launch Vehicle: Delta 7925-9.5. USA 190 - . Payload: GPS 2R-15M / Navstar 52. Mass: 2,032 kg (4,479 lb). Nation: USA. Agency: Seal Beach. Manufacturer: Lockheed. Program: Navstar. Class: Navigation. Type: Navigation satellite. Spacecraft Bus: AS 4000. Spacecraft: GPS Block 2R. USAF Sat Cat: 29486 . COSPAR: 2006-042A. Apogee: 20,342 km (12,639 mi). Perigee: 20,020 km (12,430 mi). Inclination: 54.90 deg. Period: 717.90 min. Second GPS Block IIR-M version, which added extra navigation signals for both civil and military users..
2006 November 17 - . 19:12 GMT - . Launch Site: Cape Canaveral. Launch Complex: Cape Canaveral LC17A. Launch Pad: SLC17A. LV Family: Thor. Launch Vehicle: Delta 7925-9.5. USA 192 - . Payload: GPS 2R-16M / Navstar 59. Mass: 2,032 kg (4,479 lb). Nation: USA. Agency: USAF. Manufacturer: Lockheed. Program: Navstar. Class: Navigation. Type: Navigation satellite. Spacecraft Bus: AS 4000. Spacecraft: GPS Block 2R. USAF Sat Cat: 29601 . COSPAR: 2006-052A. Apogee: 20,367 km (12,655 mi). Range: 55 km (34 mi). Perigee: 20,206 km (12,555 mi). Inclination: 54.90 deg. Period: 722.20 min. Set operational at 03:07 GMT on 12 December..
2007 October 17 - . 12:23 GMT - . Launch Site: Cape Canaveral. Launch Complex: Cape Canaveral LC17A. Launch Pad: SLC17A. LV Family: Thor. Launch Vehicle: Delta 7925-9.5. USA 196 - . Payload: GPS 2R-17M / Navstar 55. Mass: 2,032 kg (4,479 lb). Nation: USA. Agency: USAF. Manufacturer: Lockheed. Program: Navstar. Class: Navigation. Type: Navigation satellite. Spacecraft Bus: AS 4000. Spacecraft: GPS Block 2R. USAF Sat Cat: 32260 . COSPAR: 2007-047A. Apogee: 20,213 km (12,559 mi). Perigee: 20,149 km (12,519 mi). Inclination: 54.90 deg. Period: 717.90 min. Set operational at 22:46 GMT on 31 October..
2007 December 20 - . 20:04 GMT - . Launch Site: Cape Canaveral. Launch Complex: Cape Canaveral LC17A. Launch Pad: SLC17A. LV Family: Thor. Launch Vehicle: Delta 7925-9.5. USA 199 - . Payload: GPS 2R-5M / Navstar 61. Mass: 2,032 kg (4,479 lb). Nation: USA. Agency: Martin. Manufacturer: Lockheed. Program: Navstar. Class: Navigation. Type: Navigation satellite. Spacecraft Bus: AS 4000. Spacecraft: GPS Block 2R. USAF Sat Cat: 32384 . COSPAR: 2007-062A. Apogee: 20,283 km (12,603 mi). Perigee: 20,082 km (12,478 mi). Inclination: 55.00 deg. Period: 718.00 min. Fifth GPS SV with L2C capability..
2009 March 24 - . 08:34 GMT - . Launch Site: Cape Canaveral. Launch Complex: Cape Canaveral LC17A. Launch Pad: SLC17A. LV Family: Thor. Launch Vehicle: Delta 7925-9.5. USA 203 - . Payload: Navstar 63 / GPS SVN 49. Mass: 2,032 kg (4,479 lb). Nation: USA. Agency: Martin. Class: Navigation. Type: Navigation satellite. Spacecraft Bus: AS 4000. Spacecraft: GPS Block 2R. USAF Sat Cat: 34661 . COSPAR: 2009-014A. Apogee: 20,272 km (12,596 mi). Perigee: 20,093 km (12,485 mi). Inclination: 55.10 deg. Period: 718.00 min. Carried the first civil L5 signal..
2009 August 17 - . 10:35 GMT - . Launch Site: Cape Canaveral. Launch Complex: Cape Canaveral LC17A. Launch Pad: SLC17A. LV Family: Thor. Launch Vehicle: Delta 7925-9.5. USA 206 - . Payload: Navstar 64 / GPS SVN 50. Mass: 2,032 kg (4,479 lb). Nation: USA. Agency: Martin. Class: Navigation. Type: Navigation satellite. Spacecraft Bus: AS 4000. Spacecraft: GPS Block 2R. USAF Sat Cat: 35752 . COSPAR: 2009-043A. Apogee: 20,228 km (12,569 mi). Perigee: 20,138 km (12,513 mi). Inclination: 54.90 deg. Period: 718.00 min. Last launch from LC17A. Final Block IIR-M Global Positioning System satellite..